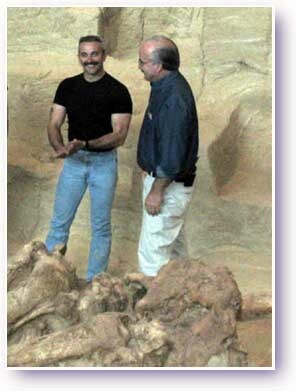 "The Singer and The Scientist"
After touring the fossil-filled sinkhole and museum, Mr. Tippin (left) interviewed Dr. Agenbroad. The filmed interview, to air on the Great American Country network in three to four weeks, will be part of a series about the Black Hills and its historical and disversified attractions. 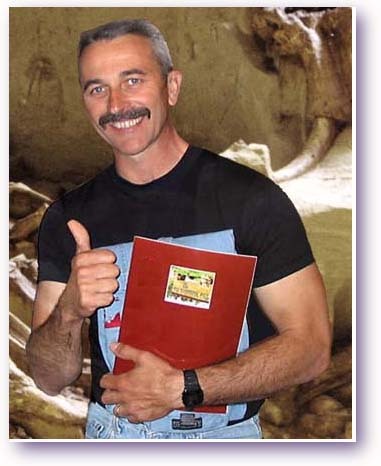 Besides the Mammoth Site, Aaron Tippin also filmed at Mt. Rushmore National Memorial, Custer State Park, and Deadwood, SD.